Best artist's grade PW6, bright opaque white. A: Titanium Dioxide is naturally occurring and mined. 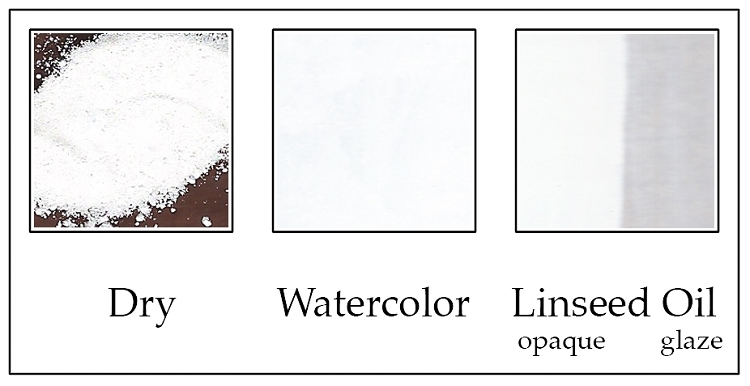 In the raw form it is either a buff or grey shade (both of these are available through sinopia). Titanium White is bleached Titanium Dioxide.